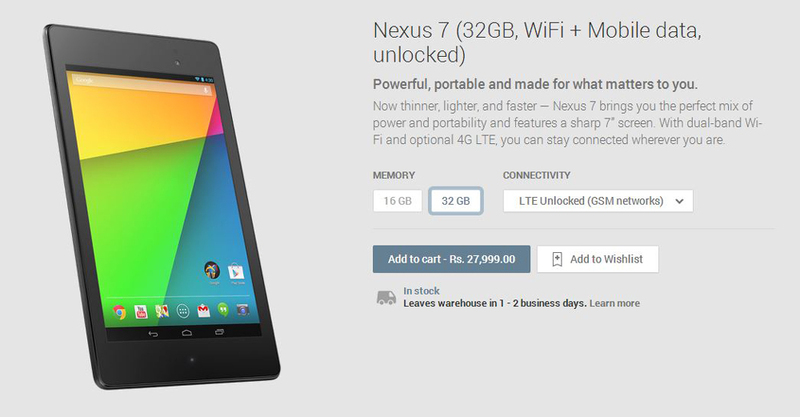 Call it pure luck or coincidence, Google has finally fulfilled the wishes of thousands of Nexus fans in India. Google has simultaneously launched two of its most awaited products in India today. 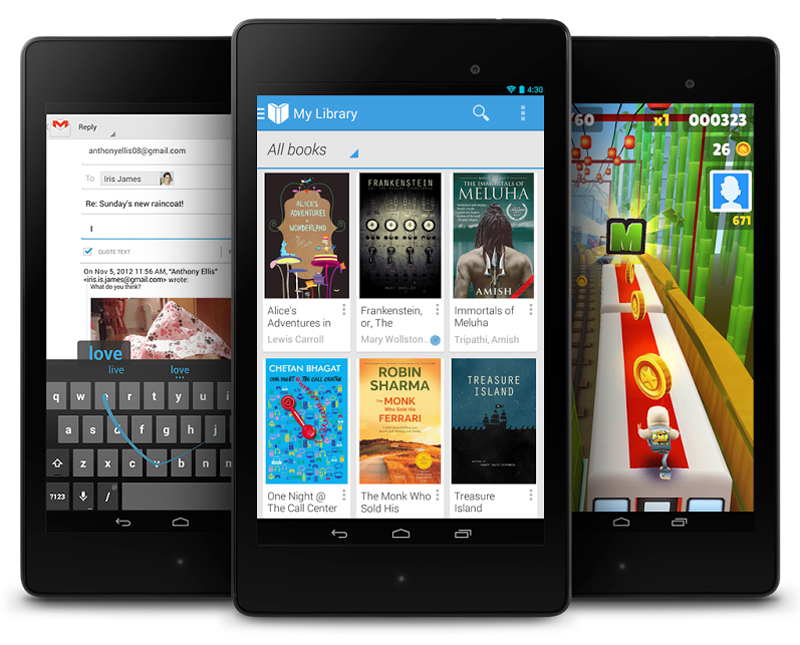 Along side the new Nexus 5, Google has also launched the new Nexus 7 (2013) tablet in India which is now available for purchase via the Play store. The following are the new nexus 7 (2013) models available in India alongside their pricing. The New Nexus 7 comes with a Quad-core Qualcomm Snapdragon™ S4 Pro running at 1.5GHz, which is coupled with 2GB of RAM. On the front, the tablet has a 7.02 Inch HD 1080p display which has a resolution of 1920 x 1200 pixels ( 323 ppi ) and is protected by a Scratch-resistant Corning® glass . The tablet has a 5MP rear facing camera with autofocus and a 1.2 Mp front facing camera with fixed focus. As for the battery the tablet is powered by an 3,950 mAH battery which has wireless charging built in and can provide up to 9 hours of active use. As usual, the tablet skips the option for expandable storage and comes in two variants of 16GB and 32GB versions for the WiFi variant and a 32GB only version for the WiFi + GSM variant. The Nexus 7 will be running Android 4.3 out of the box, which can be soon update to the latest Android 4.4 via an OTA update. Google has already released the android 4.4 factory images for the nexus 7(2013) , which means you can easily flash them on to the new Nexus 7 and experience Android 4.4 KitKat on the tablet before the OTA update. Google will also be putting the Nexus 7 sleeve covers for sale alongside the Nexus 7. The Nexus 7 sleeve covers are currently not available on the play store, but are priced at Rs, 1,999 for all the three variants in Black yellow and grey color.